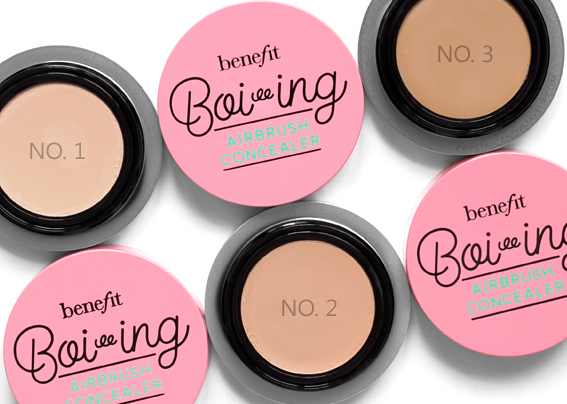 Blur, smooth and conceal your imperfections with Benefit's new Airbrush Concealer! Available now at Sephora, this soft-focus and waterproof concealer is said to offer sheer-to-medium coverage and last 10 hours, without the caking or creasing! NO. 1 (Light) is between NW15 and NW20 and has pink undertones. NO. 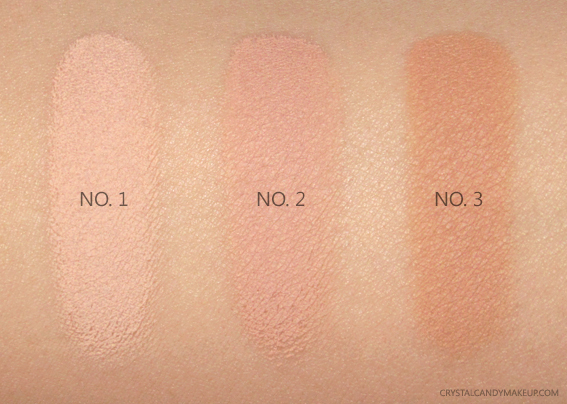 2 (Light-Medium) is similar to NW30 and has pink undertones. NO. 3 (Medium) is similar to N37 and has golden peach undertones. This product has an interesting consistency, it's a bit like a mousse but still very creamy. It kind of melt on my fingers when I touch it! It feels a bit cooling upon first contact with skin, and then it sets to a matte finish. The formula looks best if I apply it with a Beautyblender or with my fingertips. It was a bit cakey and streaky with my favorite concealer brush. Also, I find that if I let it sit on my skin for too long before blending it, it can look a bit patchy. And I noticed that it creases less if I pat the product with my fingertips until it's completely set (15-20 seconds). 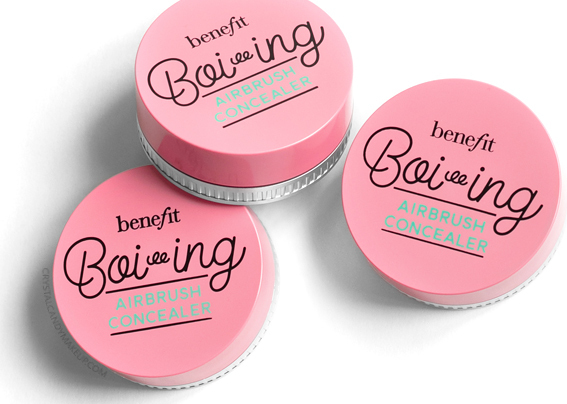 Don't forget that the Boi-ing Airbrush Concealer is specifically formulated to provide sheer-to-medium coverage! If you try to build it up to full coverage, it will look cakey. Just something to keep in mind! It's definitely not full coverage (like I said, it's not supposed to be), so it doesn't completely cover up my dark circles and the big blue vein under my eye. However, it looks really good on my skin! I'm in my thirties and have a bit of creepiness under my eyes now, and this concealer doesn't accentuate that problem! I noticed very minimal creasing after 12 hours, but much less than when I use my other favorite concealers. For best results, I do suggest to set it with a light dusting of loose powder! I love how the Boi-ing Airbrush Concealer conceals redness without looking cakey or clinging to dry patches. It has a slight blurring effect too, so it helps smooth out skin texture a little bit. It doesn't offer enough coverage to cover very red blemishes, but it's great for acne scars and brown spots. I just wish that it was full coverage instead of sheer-to-medium, because it does look great on the under eye area! 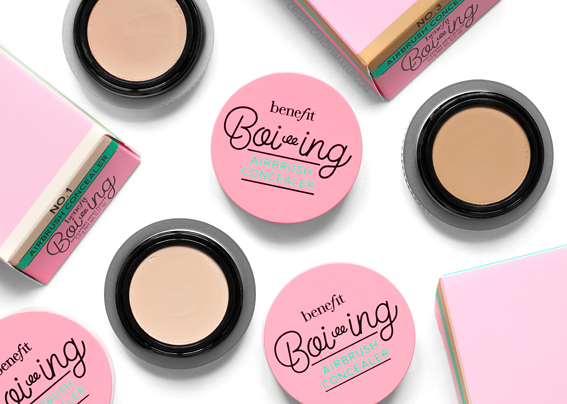 The Benefit Boi-ing Airbrush Concealer retail for $27 CAD for 5g. Did they change the formula from the original Boi-ing? I know they've changed the packaging for sure. I've never tried the original boi-ing concealer, but I have heard great things! This gives pretty good coverage! The packaging is so cute! This is a different formula though, you can still buy the original Boi-ing Industrial Strength concealer but they changed the packaging. I find that the new Boi-ing Airbrush gives less coverage, but looks more natural.